This May 10, 2018, file photo shows Sen. Cindy Hyde-Smith, R-Miss., ahead of a Senate appropriations subcommittee hearing on Capitol Hill in Washington, D.C. It took more than 15 years for Mississippi and other Southern states to catch up to the Supreme Court's landmark desegregation decision, Brown v. Board of Education, and many in the school systems found ways around the new system, NBC News reported. 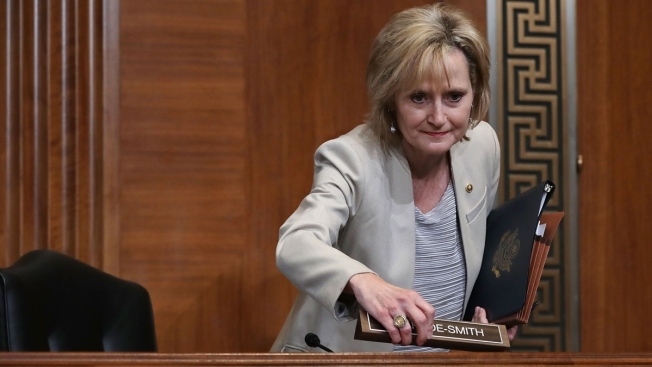 The issue came to light again last week when the Jackson Free-Press reported that Republican Sen. Cindy Hyde-Smith, who faces a special election Tuedsay, attended a school in Brookhaven, Mississippi, that was founded in 1970 to flout the integration order. Its mascot was a confederate general. Such so-called segregationist academies around the South prevented black students from entering through financial barriers and unstated discriminatory practices. "The state of Mississippi and other states began offering private school vouchers to support this effort to bypass integration," according to Richard Kahlenberg, a senior fellow at the Century Foundation and an expert on American education and segregation.